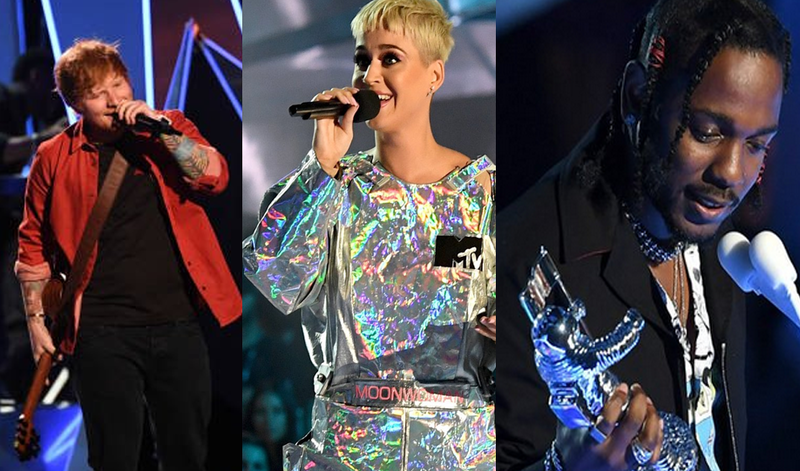 The biggest names in music gathered once again at the Forum in Inglewood, California on Sunday for this year's MTV Video Music Awards. Kendrick Lamar became the night's big winner after taking home five prizes including Video Of The Year and Best Hip-Hop Video for 'Humble.' Meanwhile, Ed Sheeran was named Artist of the Year and Pink received the Michael Jackson Video Vanguard Award.